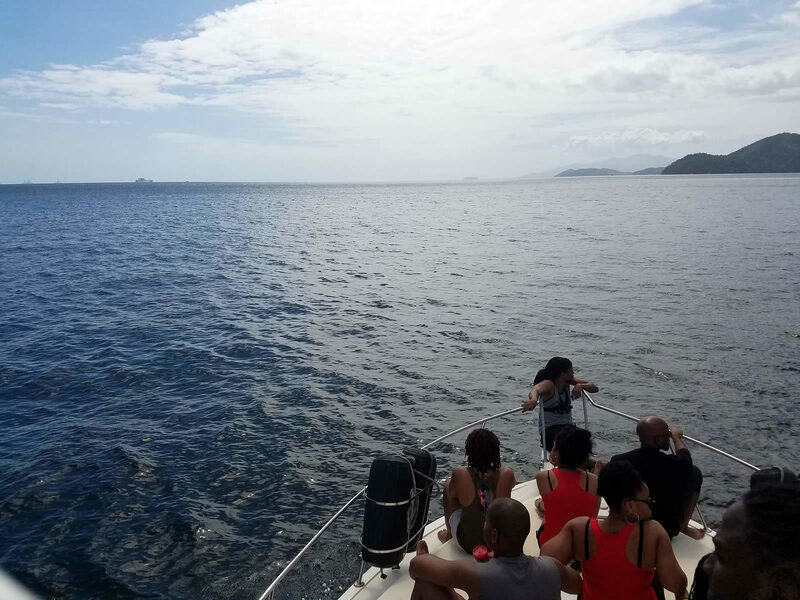 If you are looking for a thrilling destination ‘Down the Islands’ to take the family or go on a lime with friends, then your best choice may be Gaspar Grande Island just off Chaguaramas. 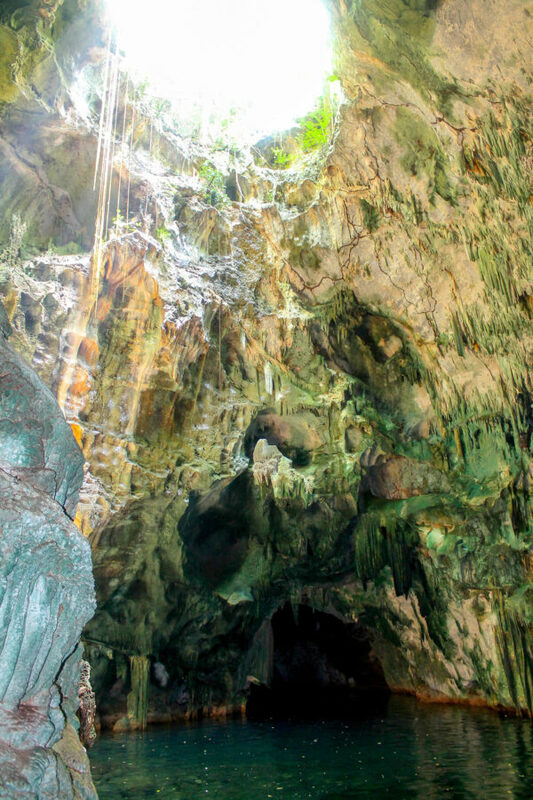 Gasparee Caves on Gaspar Grande is an exciting eco-adventure destination that combines a thrilling cave adventure with hiking fun and a sensational boat ride across the waters off Chaguaramas. 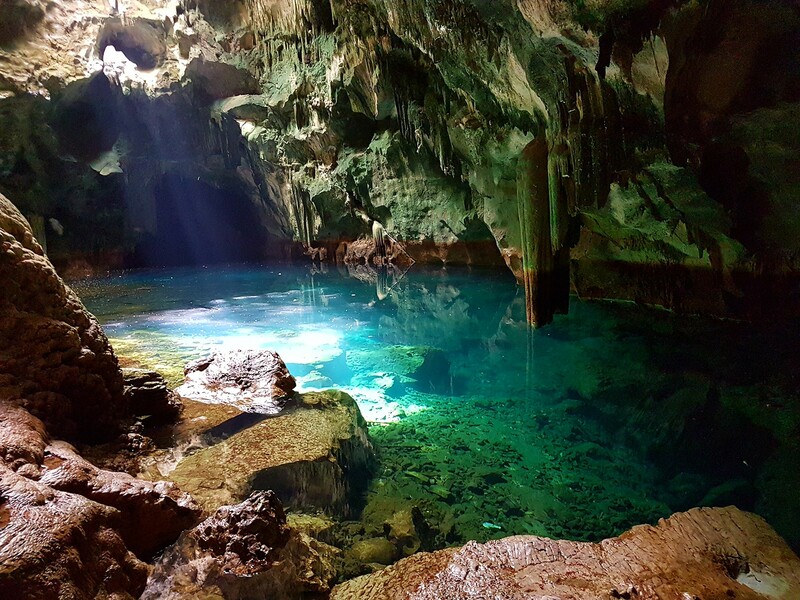 With all this packed into one tour, Gasparee Caves is an unforgettable, a fun-filled and exhilarating family or group outing. First off, it’s a huge Cave! Nothing is more exciting than the thrill of entering the unknown below the earth’s surface. 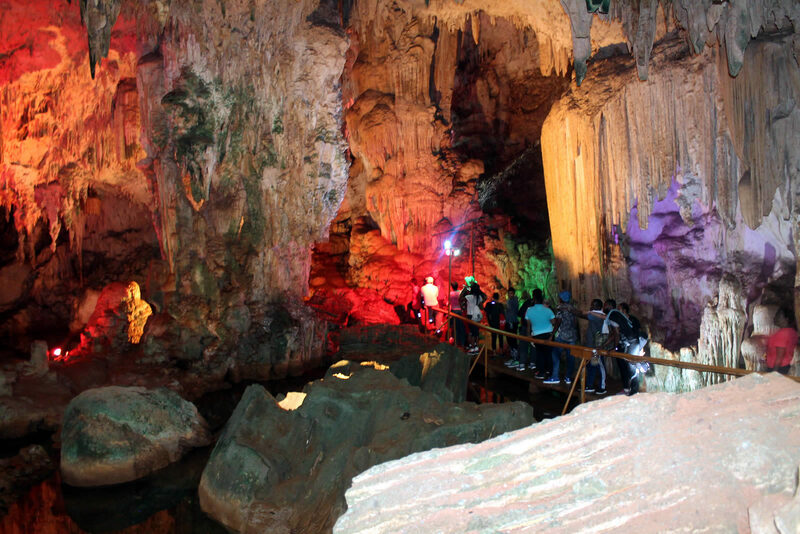 You descend 100 feet underground and walk through magnificent caverns. But the awesome thing is that this is not a dark hole filled with creepy crawlies, but rather a well-lit cave with magnificent calcium formations that literally took hundreds of years to form. In the formations spectacular stalactites and stalagmites some say they can see a dinosaur, others, an appearance of Michael Jackson dancing. What will you see? One hundred feet underground, at the base of the cave is salt water pool that shimmers in a kaleidoscope of colours and reflects light all around the cave. 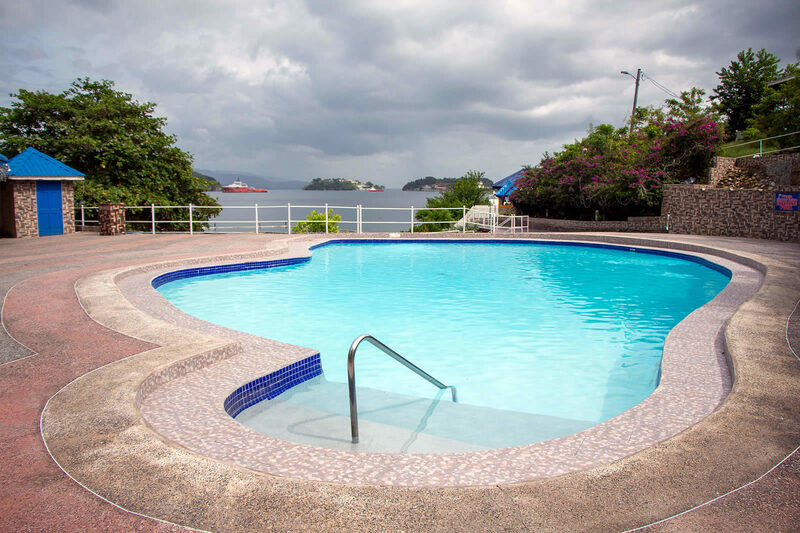 The water in the pool is constantly refreshed by the tide and is great for a swim. At present, swimming is restricted, but hopefully this will change soon with the introduction of additional safety measures. But for now you can soak your feet in it and admire its beauty. 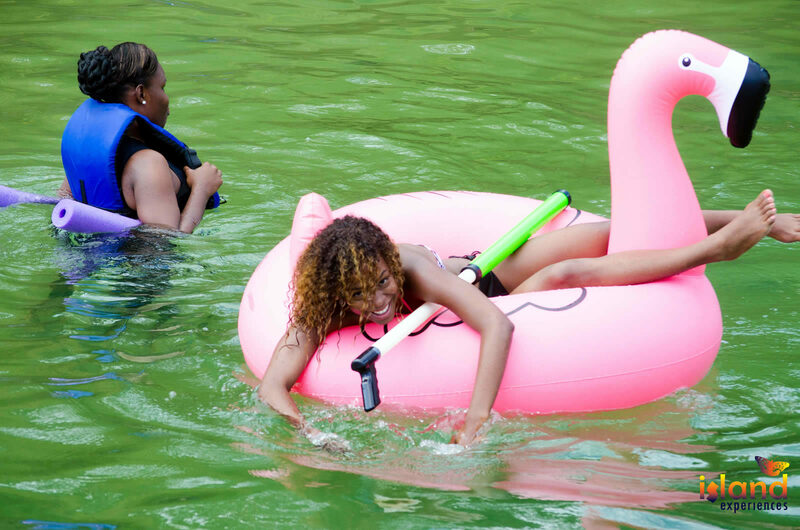 A Gasparee Caves tour includes a relaxing 10 minute boat ride from Chaguaramas to Gaspar Grande island. 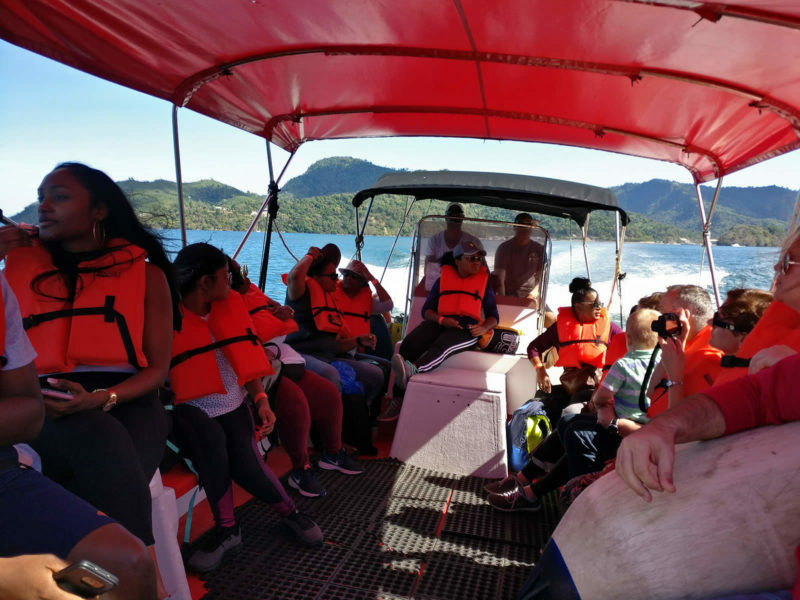 Passengers after being equipped with life vests, are treated to a fabulous boat ride as they survey the surrounding islands and the beauty of Gaspar Grande island from the water. 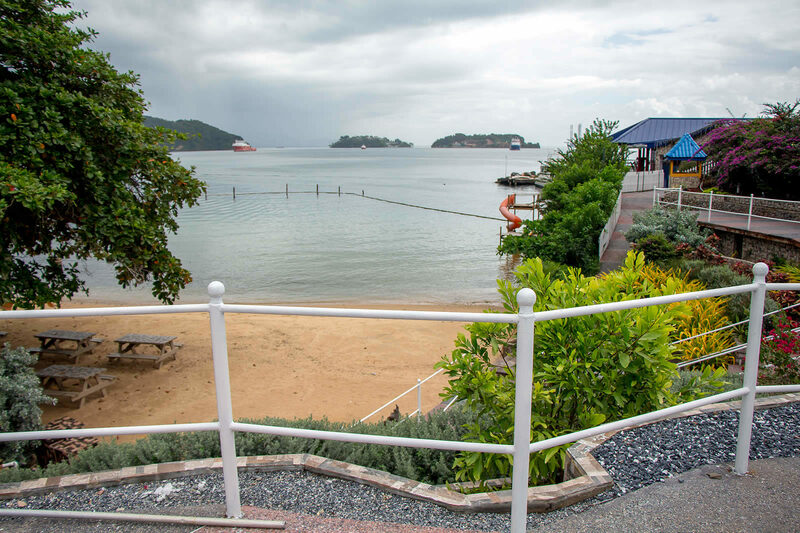 Bombshell Bay located on the island of Gaspar Grande offers an escape from the ordinary where you can spend a sunny day enjoying all the facilities on offer including a private beach, salt water swimming pool, tennis courts and changing rooms. 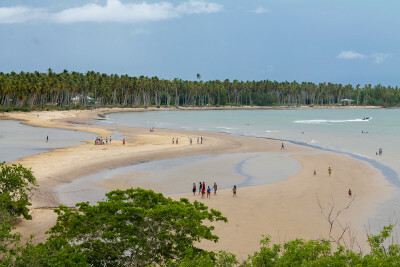 The fun does not stop at Gaspar Grande. Make the most of the day! 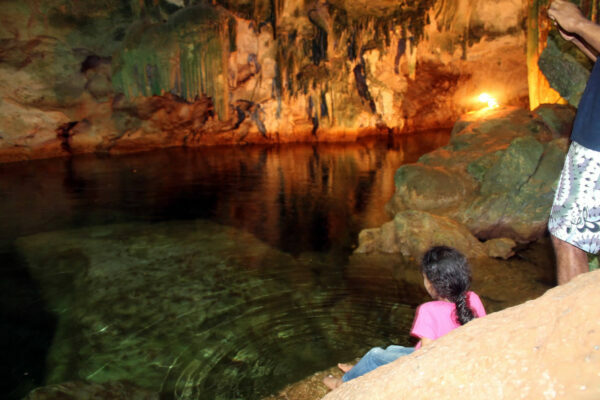 A trip to Gasparee Caves can be easily combined with other activities off Chaguaramas. 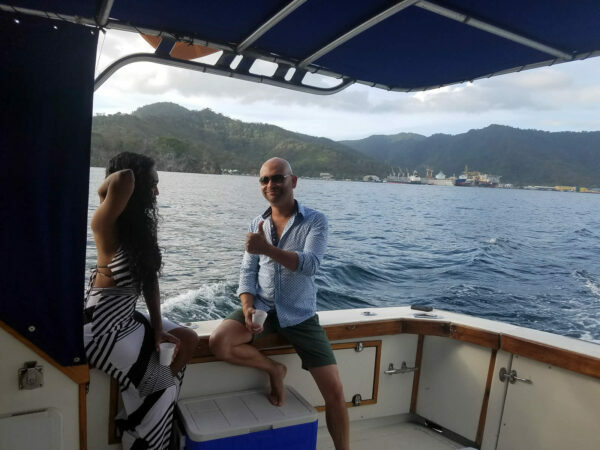 After the caves, head over to Biscayne Bay on Monos Island, or enjoy an enchanting yacht cruise down the islands to visit secluded bays for swimming and relaxation.